so this past saturday we made old fashioned pancakes. mix the flour, sugar, baking powder, milk, and egg in a bowl until combined. mix the melted butter into the batter. heat a lightly buttered griddle or frying pan on medium heat. 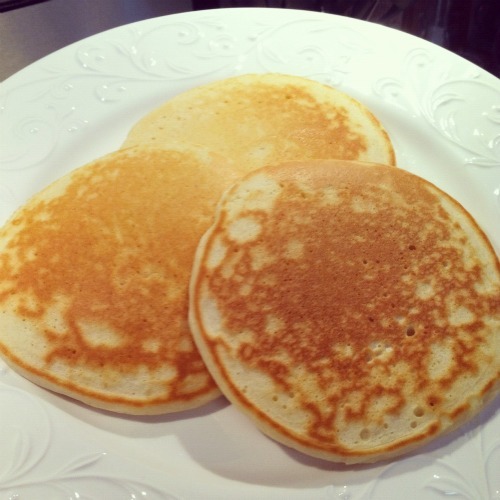 for medium sized pancakes, pour approximately 1/4 cup of batter onto the griddle or frying pan. cook until the pancakes are golden brown on both sides. serve hot with maple syrup. Yum!!! You always make the best stuff! !